Andra Walt chats with Independent Comics guru Terry Cronin! Andra Walt: Tell us a little something about ‘Attack of the Moss Monsters’ and ‘Psycho In A Box’. How old were you when you made these, and who were the “stars” of these movies? Terry Cronin: When my friends and I were in Junior High, (so that makes us about 13 or 14) we got my Dad’s Super 8 film camera and made short horror movies. These were neighborhood hits and included “The Attack of the Moss Monster” starring Eric Mertens, “Psycho in a Box” starring John Hart, and “Afternoon of the Dead” starring Doug Raugh. (AW) What is 3 Boys Productions? Who are Pat Martin, Jeff Hall and Bob Lizek? Why isn’t this “4” Boys Productions? (TC) 3 Bros Productions began as a filmmaking group to produce the 16 mm horror film “Under the Bridge”. The principals were me, Pat Martin, and Bob Lizek (Contact, Armageddon).The success of the film led us to found the Melbourne Independent Filmmakers Festival. After two years, Bob was hired to work in Massachussetts and Jeff Hall came on board to be our webmaster, ombudsman, and voice talent. A few years later Bob returned to the great state of Florida and we kept the name as is because we had already garnered some recognition. (AW) What was the premise and storyline of ‘Under the Bridge’? (TC) A group of homeless men living under the Melbourne Causeway are being hunted by a predator. The discovery that the monster is a troll leads to a drinking competition and a matching of wits between the troll and “Irish”, the drunken leader of the homeless. (AW) Are you married? How long? Children? Are your children involved in any of your endeavors? (TC) Yes, I’m married to the lovely Ava Cronin and we have three children. My sons have all been very supportive of my creative endeavors, working at conventions and volunteering to help at the film festival. My sons even had their own comic book called “Terrifying and Terrific” which I have been told is quite a unique collectible now. (AW) The Skinvestigator: Tramp Stamp is a wonderful idea for a mystery. Give us a little synopsis of the story. Who do you look up to as mystery writers, and why? This is the first of 3, as I understand. If these are well received will there be more. 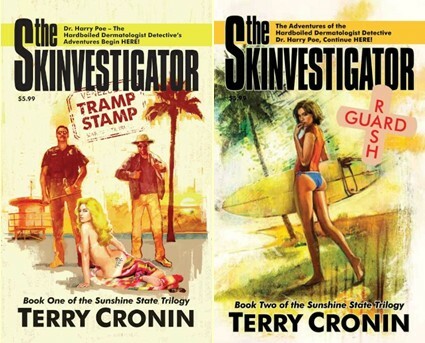 (TC) The Skinvestigator is a series of detective novels about a dermatologist who helps the Miami police solve a murder involving tattoos, illicit cosmetic surgery, international politics, and human trafficking. The three books are titled Tramp Stamp, Rash Guard, and Sunburn and make up the pieces of what I call the Sunshine State Trilogy. I was blessed to have the artistic talents of cover artist Luis Diaz, photographic artist Steven Shea and design artist Gary Scott Beatty to help package these books in an enticing and professional way. I love mystery/crime writers because of the sense of urgency in these novels and the sheer brazen slice of humanity they give us a chance to look at. My current favorite writers include Joe Abercrombie, Ken Bruen, Jim Butcher, Zora Neale Hurston, Gary Jennings, John D. MacDonald, Henning Mankell, and George RR Martin. (AW) Did I read somewhere that Amazon handled the management of getting this book in stores? If so, how did this come about? (TC) Actually I was helped by my local Barnes & Noble who helped introduce me to their corporate office. They took a self-published author like me and helped me to get a publisher and distribution deal. The Skinvestigator is now published by Atlas Books and is available from Amazon.com, Barnes & Noble, and Tower Books. 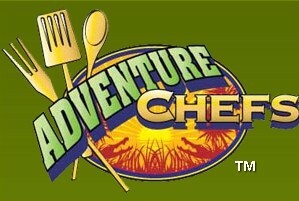 (AW) You are also involved in a TV Pilot called ‘Adventure Chefs’ and I’m interested in how you came up with this idea. Has there been interest from any of the networks in this? Is this along the same lines as ‘Top Chef’ (one of my favorite shows)? Are you a fan of fine dining? Who are the chefs in the pilot? (TC) I love to eat and I love to learn and Adventure Chefs is a show that satisfies both these passions. Adventure Chefs is a unique fusion of shows where we take two contestants put them in a wild environment and give them 24 hours to hunt, forage, and collect edible ingredients and then prepare a dinner for three guest judges. They have to make an appetizer, entree, and dessert and they are judged on presentation, taste, and creativity. It’s a lot of fun and it brings together elements of shows like Survivorman and Man Vs. Wild and mixes them with the competitive cooking aspects of shows like Hell’s Kitchen and Iron Chef. 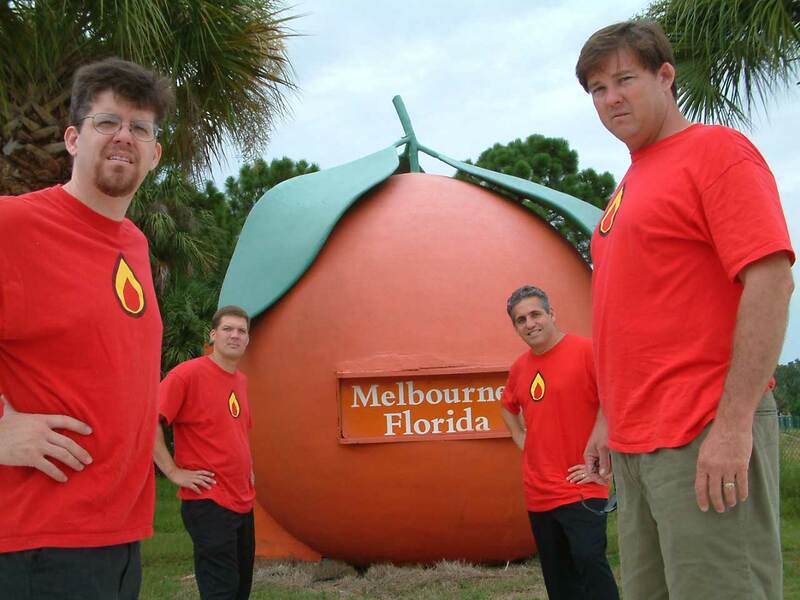 We’ve filmed in central Florida and western North Carolina and the competitors have included Frank Scibelli (FS Food Group), John Holmes, Adam Long(Bad Daddy’s Burger Bar), and the great Pat Martin! 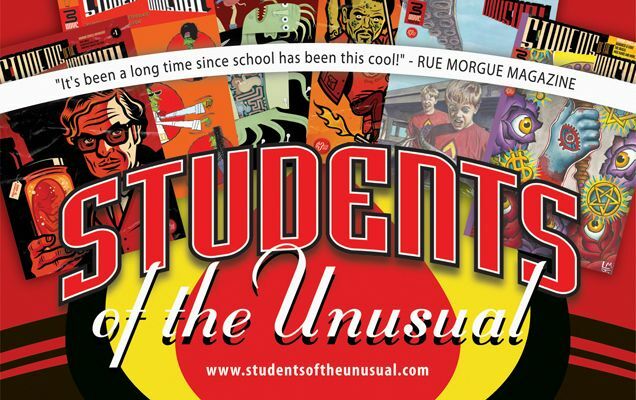 (AW) Students of the Unusual is the comic book that you produce and promote; is that correct? Would you tell us a little about the stories coming up? I also see that you have this in the Diamond catalogue for distribution, how did you manage that? It appears that it is extremely difficult for an Independent Comic to get into the Diamond catalogue, and why do you think this is? (TC) Students of the Unusual is a horror anthology that we started in 2004. We were very lucky for many reasons. I met Michael Barone from Fellsmere, Florida who volunteered his print shop to make the program for the Melbourne Independent Filmmakers Festival. As this is a charity event (which raises money for local causes like our local HIV Clinic and victims of domestic violence) it was certainly generous for him to do that. When I saw the beautiful color books he was printing I asked him if he ever printed comic books and he said he hadn’t but that he always dreamed of doing that. So it was a unique opportunity and when we printed our first issue we submitted it to Diamond and they loved. I didn’t realize how lucky we were until we went to our first Megacon and understood how tough the competition truly is. Diamond’s job is tomake money and if they think they can make money selling your book then it’s a win-win. I think nowadays it is better to build an audience online and then seek out distribution of your independent book once you have built a fan base who are ready to buy it. (AW) At conventions, I notice that you are very instrumental in getting Independent Producers of comics on panels. Do you enjoy the flow of ideas that these independent guys have? Do you think the panels provide the information the attendees are seeking? And, what do you think the attendees are looking for in these panels? (TC) At conventions, I notice that you are very instrumental in getting Independent Producers of comics on panels. Do you enjoy the flow of ideas that these independent guys have? Do you think the panels provide the information the attendees are seeking? And, what do you think the attendees are looking for in these panels? I’ve been to a lot of comic conventions and I think there are two main reasons to go to a panel discussion. One, you’re a fan of the speaker and you just want to geek out and see what your idol is up to. Or two, you want to learn something. Hopefully our attendees want to learn how to get their independent comic published and distributed. Sometimes we can have a little of both where the fans can also glean some tidbits of useful knowledge. (AW) Do you think the Independent market is beginning to get the attention they deserve? It appears that this is an uphill battle for some of the smaller ones (competing with Marvel and DC), but how do you feel the market is doing? (TC) I’m afraid the comic book market is contracting and that the true mark of independent success is an option for material to be made into a movie or TV show. This seems to be the dream. But as technology becomes more accessible, I think you will see creative comic book makers becoming creative filmmakers. (AW) How do you solicit artists for your books? (TC) When I first started I did a lot of surfing on the internet and found artists whose styles I loved. Then I basically begged them to do a short story for me. As we were an untried entity, a lot of artists didn’t think we were legitimate and some were downright dismissive. Despite some failures we were able to assemble a very talented crew who believed in Students of the Unusual and we always paid for their services. Some of the greats who have helped us along the way include Jorge Alderete, Bagger43, Gary Scott Beatty, Sarah-Lynn Brown, Jorge Calamato, J Chris Campbell, Sergio Cariello, Luis Diaz, Jeff Gaither, Micah Harris, Howard Hopkins, Austin Janowsky, Jennifer Janviere, Rob Jones, Katharine Leis, Steve Mack, Brad McGinty, Dove McHargue, Julia Lichty aka ghostfire, Polybernatene, Rick Porven, Caleb Prochnow, Joel Rivers, Steven Shea, John Stevens, Michael A. Tyson, Luandra Whitehurst, Michael Youngblood and so many more. Now when we go to a show, many artists solicit us for an opportunity to be in our book. (AW) How many years have you been promoting the Melbourne Independent Filmmaker’s Festival? What are the dates of the next Festival? What are the requirements for someone to enter a film? Is there a fee involved? How would someone get their film seen there? Do you ever show your films at conventions or other venues? (TC) We have been lucky to show our films at Megacon, Florida Supercon, and at HeroesCon. (AW) With all the things you have your finger in, ie: doctor, comic book producer, film, TV pilots, etc., what do you want to be when you grow up? (TC) They say you are as young as you feel. I just hope I continue to feel good! (AW) What conventions are you planning on attending this year? Megacon, Florida Supercon, and San Diego Comic-Con. (AW) How may people find you on line? Can they purchase any of your books on line? Definitely wouldn’t mind checking any of the stuff mentioned in this interview! What Terry doesn’t talk about here is how talented he is writing short stories and films. As an editor I read a LOT of indie comic book tales. Many writers do fine developing mega-issue epics but have no short story writing skills! Terry’s work is a study in the form — he gives you just enough information to keep you interested, keeps you guessing until the end and doesn’t bore with unneeded details. He’s definitely on my short list of today’s top indie comic book writers. Terry is the greatest guy! Not only is he extremely talented and skilled at what he does, he is HUGELY supportive of any and all creators he meets. I’m lucky to call him a friend.